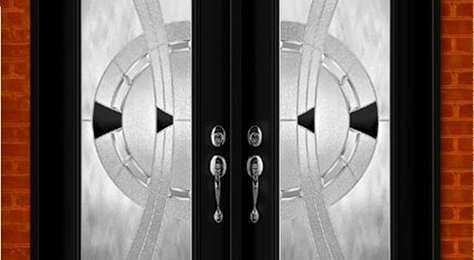 Doors are as ancient as the human abode itself, and they have become an integral part of our lives, and in many cultures are synonymous with words like “entrance, gateway, and home, sweet home.” The significance of doors in our lives still remains today. The front door is perhaps the most important focal point of your Brampton house. It’s the entrance where you greet your friends and family, the gateway that leads to your entire household, and most importantly, the place where you come home. Your front door has many important jobs, including keeping out loud noises, insects, burglars and bad weather while holding in the comfortable temperatures. Over time, doors get old and their seals can fail. Any hot or cold air that travels through your front door affects the adjacent living areas accordingly. When your door is poorly insulated it makes your whole house drafty and causes your utility bills to rise, and nobody wants that. If your entry door can no longer maintain proper insulation, you need to consider getting it replaced. When the time comes to replace your entry door, remember that it’s not a process you should rush into. A replacement entry door is an important investment for your home. To begin with, a new entry door can do wonders to your home’s appearance. A replacement entry door will significantly boost both your home’s curb appeal and its resale value. While it’s important to secure the doors and entrance points at the back and sides of your home, keep in mind that most break-ins occur through the front door. A good precaution is to fit your entry door with strong locks and deadbolts. Besides this security upgrade, there are many other reasons to replace your home’s dated front door, including the advantages that vinyl has to offer. Vinyl is an excellent choice for your front door, because it is low-maintenance, moisture-resistant, and will never shrink, rot, or warp, like wood. Vinyl holds up against all kinds of weather conditions and offers far more insulating value that wood. At Brock Doors and Windows, we are a team of experts committed to providing quality-from materials to relationships. That is why we are your solution for high quality entry doors in Brampton, ON. Our doors are designed to provide outstanding energy efficiency and superior security. Among our quality doors is Verre Select (one of our most popular brands). Verre Select stands out with highly customized doors, featuring beautiful panels and moldings add a very elegant look to your entry door. Our Dorplex entry doors are a beautiful, innovative line that lets in light without sacrificing privacy. The caming can be matched to your door’s hardware, outside fixtures or even the interior décor. We offer textured glass, which is rated 1-10 for privacy. This allows you to customize the level of obscurity or clarity you desire. 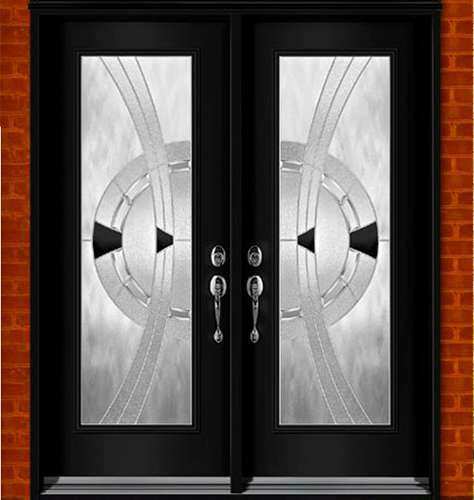 We also offer Fusion, Novatech, Mastergrain doors and many more.